Do I need to get an Indian VISA? 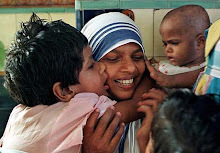 Should I solicit money to help the Missionaries of Charity in their work to serve the poorest of the poor? Do not solicit money or donations from your friends and family. The Missionaries of Charity NEVER ask for money or donations. In fact, Mother Teresa specifically told her sisters to never ask for money. That is one of the amazing things about their order. They are in over 140 countries all over the world and currently have 4500 sisters and do not ever solicit donations, yet God provides. A lesson for us all! God said he would provided for us, do we believe him? Well, you are about to witness first hand His Divine Providence. Is there a Volunteer Orientation given in Calcutta? Yes - You just need to arrive and attend an Orientation, M, W, and F @ 300pm currently at Shishu Bahvan, which is down the street from Mother House. I will be going too, so we can all go together. How do you recommend I carry money? 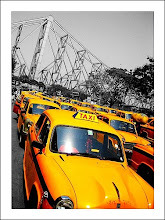 American Express Travers Checks are the best and easiest way to get Indian rupees in Kolkata. I highly suggest you bring them as your primary source of funds . Bring also one credit card (Visa and Master Card – they do not take American Express in India) and your ATM card, just for emergencies. That way all your bases are covered. Again, its better to be safe then sorry. Recommended: Get some rupees ahead of time in the US. Check the current Exchange rate on-line. 1) Call your carrier and find out what the foreign currency fee is. For example, my ATM card is provided to me from my company (Morgan Stanley). I am charged a 2% fee on top of the fee the machine itself will charge. Keep that in mind, the fees can add up. 2) Call your ATM carrier and Master Card and tell them you will be traveling in India. If you do use them and do not inform the companies ahead of time, sometimes banks / credit cards will cancel your card because a red flag comes up due to a strange charge / withdrawal. For these reasons, I strongly suggest you use American Express Travelers Checks as your primary source of funds. Where do I exchange money? At Foreign Exchanges (ForEx) offices. They are in various places on Sudder Street (where all the volunteers hang out). Try to get small denominations in the Indian rupees exchanged for US dollars. People on the street (taxi, food stalls, etc.) will not have change for large bills (500 & 1000 denominations). Don't be afraid to go from Foreign Exchange to Foreign Exchange, to look for the best rates, just like you were shopping in the US. This of course will not work with Foreign Exchanges run by banks. No one will take my torn bill, what do I do? Give them no choice. Don't waver, if they want you're money they'll eventually take it, and if they don't then go somewhere else if you can. In most restaurants, NO. In fancier restaurants with good service a tip is always appreciated. I generally do the American rule of 10-20%. Cabs get a tip from me only if they aren't ripping me off and then only between 20-50 INR. How should I dress? The answer is modestly. For ladies: Wear either pants / long skirt and a tee shirt. (Bring one sweatshirt too - it gets cold in the morning and at night in December). The important thing is to be comfortable and you can work in what you will be wearing. Two things to remember, we are working with nuns and Calcutta has a large population of Muslims. You will avoid unwanted attention from Indian men by dressing modestly. As we all know, different cultures perceive things differently. For guys: Wear long paints and a tee-shirt. I never wear shorts or sleeveless shirts around the sisters out of respect for them. Also, pack light. The guesthouse has a laundry service. Its very cheap and you can get your essentials washed. This cuts down on the items you have you pack. Where do I find medicines? At Chemists. Pretty much anything is available over the counter. And they also act as surrogate doctors. If you've got a problem, tell them and they'll try to help you out. But remember they're not doctors, and they're just listening to your problems (not investigating them) AND they want to sell stuff. Do I have to take Malaria medicine while I am there? Yes. I recommend everyone taking their medicines while here. There is too much a chance of catching it. How seriously is the danger of getting TB and Malaria? Can you recommend a place to stay at? Where did you stay? Do the Missionaries help with accommodation? MCs do not help with accommodations. I recommend you stay at the BMS Guesthouse. That is where I stay and will be happy to make a reservation there for you. Once you are there, it is your responsibility to pay the bill (in cash - Indian rupees) with the manager (Anu Kahn). How do I purchase Plane tickets? I have a travel agent who I will recommend to you. Each person will purchase their own plane ticket. Feel free to use my travel agent or use an agent of your own if you feel more comfortable. o A. Photocopies of legal documents (visa, passport, any others) in your luggage, separately from your actual documents. (Also, suggested to leave copies with someone in the US that you trust, and will be able to contact in the case of an emergency). Calcutta 700 016, W.B., India. Vaccines recommended, none are "Required". Keep one copy with you in your bag and leave one copy with your family. That way if you misplace any important documents, you can make the necessary arrangements to recover the docs that much easier. It’s a good idea to get travel medical insurance online before you leave the US. Most medical insurance that we get with our jobs in the US is not honored aboard. For like $35.00 you can get travel medical insurance with an evacuation clause just in case, God forbid, you get hurt. Its a small amount of money and in my opinion it is worth it. Shop around on-line. The last time I went over I used a company called Atlas Travel insurance. DO NOT DRINK THE LOCAL WATER – INCLUDING BRUSHING YOUR TEETH WITH IT OUT OF ANY FAUCET ANYWHERE IN THE CITY (Kinnley or Aqua-fina water can be purchased on the streets – do not drink local brands). There is a basket next to Mother Teresa tomb for prayer intentions in the MC Mother House, where we will be at the beginning and at the end of every day. Every Friday, all the intentions from all over the world are offered at a special Mass. If your friends and family have prayer intentions, it’s a nice gesture to bring them with you on a little piece of paper and place them in the basket next to Mother’s tomb. Everyday the Missionaries of Charity invite all volunteers to daily Mass with them in their private Chapel. This is not required for any volunteer to attend. With that being sad, if you do choose to go, what you will see is one of the most beautiful expressions of prayer on this side of heaven. The presence of the Holy Spirit at those daily Masses is palpable! a) For those of us who are Catholic and choose to attend, as well as receive the Blessed Sacrament. Please be mindful of what you are receiving and ensure that we are all properly disposed sacramentally to receive Our Lord. b) For those who are Non-Catholic, you are absolutely welcome to attend Mass and hear the word of God proclaimed every morning. You are without question our brothers and sisters. With that being said, while you can attend Mass, you cannot receive the Eucharist. The reason for this is, Catholics believe that the bread and wine when consecrated by the hands of a priest change in substance (not in form) into the Body, Blood, Soul, and Divinity of Our Lord Jesus Christ. In order to receive the Eucharist one must be Catholic and be in full communion with the Catholic Church. Please do not let this discourage you from attending daily Mass, you are most welcome and please do me the honor of sitting next to me. 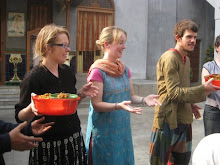 University of Seattle runs a student trip to Kolkata every year. They published a detailed guide for volunteers. It will give you a good idea as to what you can expect. 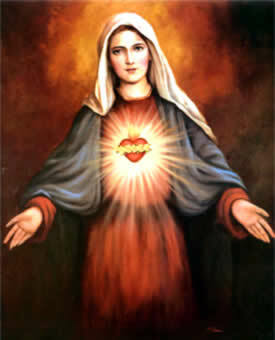 I'm glad to recommend to you an excellent Irish website http://catholicheritage.blogspot.com/ that is featuring the Sacred Heart at the moment. Can you link to it please? Their are really a lot of things to consider and I was thankful you post it here. Thank you for taking the time to share this. I hope it is still all relevant. I am French and I am a little anxious about my stay in Calcutta and my help. I shall be alone and I hope I can do my best. I would like to live also as Christian and to have the possibility to follow the mass every day. Thank you so much for taking the time to record all of these details and helpful suggestions. You have been immensely helpful. Thank you. Hi. 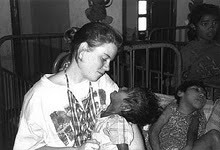 I'm interested in volunteering with the Missionaries of Charity in Kolkata. Do you know of anyone else going or a group I could join in 2019 (from the USA)?